Carly Klein is a game-changer in the image industry. In 2009, Carly developed a passion helping female hair loss patients and cancer patients. 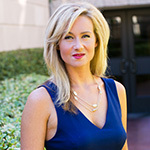 Shortly after she founded National Hair Loss, utilizing cutting-edge hair restoration treatments. Carly designed Hair Recovery Programs customized to each patient’s specific type of hair loss and included a comprehensive follow up program. By 2010, she firmly established her relationship with HonorHealth’s Virginia G. Piper Cancer Center helping chemotherapy patients stimulate hair growth. This success ed Carly to offer Hair Recovery Programs on a wider scale. Carly believes it is her mission to provide support, education, and treatment to patients and their families as they journey down the road of renewed health. Carly now works with industry professionals, oncologists, and medical physicians across the world implementing hair restoration programs. Learn more about National Hair Loss by visiting NationalHairLossAssoc.com.